"A beautiful Greek island that offers access to the sapphire blue waters of the Aegean Sea." 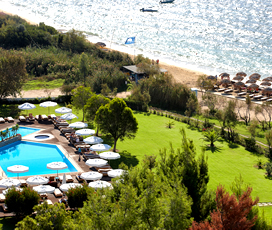 Skiathos is a small Greek island situated in the sapphire blue waters of the Aegean Sea. It is renowned for its temperate holiday climate, which is ideal for people who want a beach holiday. This along with its vibrant nightlife, rich culinary history and ancient heritage ensure that it will appeal to a wide range of visitors. 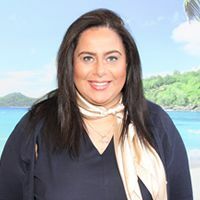 It features a number of excellent beaches, from the secluded Lalaria to the more family friendly Mandraki Elias Beach, both rated among the best in the entire Aegean Sea. The period from mid-May to late October is considered the best season for rest. Water sports, sailing and diving enthusiasts are well catered for on this island. For the cultural lovers there is the chance to visit the ruins of the medieval fortress Castro which was built in the 14th century, as well as the three remaining churches of the island. This all serves to ensure that Skiathos is an excellent holiday destination: small enough to explore with ease, yet still containing a vast array of beautiful and interesting things to do if you are planning your family holiday to Greece. A fairly small Greek island, located in the Aegean Sea, it is famous for its more than 60 beautiful beaches and other areas of dramatic natural scenery, and close enough to the island of Skopelos, if you are planning an island hopping holiday. The island itself measures just 49 kilometres, ensuring that it is easy to explore and has a population of around 7000 people. 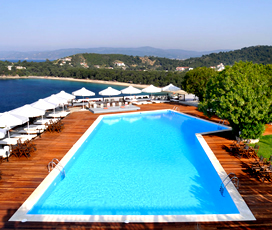 The main town on the island is also called Skiathos and is famous for its excellent nightlife. The island also has an airport, making it easier to access than many of the others in the area. 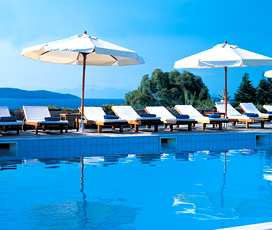 Skiathos has a temperate annual climate, making it neither swelteringly hot nor cold and wet. This means that it is ideal for people seeking an active beach holiday, where the sea is warm, but the weather is not overbearingly hot. The best time to visit is the summer, when temperatures sit in the mid-twenties, with cool breezes However, the autumn and spring are still fairly hot, meaning that visitors can enjoy Skiathos between the months of April and October. The island was first inhabited in the pre-Hellenic period, before being conquered by the Cretans and Mycenaeans in the 6th to 7th century BC. It had become a crucial trading port, by the time of the Persian wars and was used as a base for the Athenian fleet. The island then joined the Delian league and fought on Athens’ side during the Peloponnesian wars, gaining independence after Athens’ defeat in 404 BC. It then passed from Macedonian hands to Roman hands, during which it was sacked by the King of Pontus, Mithriades VI, in his campaign against the Romans. Once the Roman empire fell, it passed to the Byzantines, who held it until the Venetians took it around the time of the crusades. It was the conquered by the Ottomans in 1538 AD and spent the next 300 years under its rule, until it joined the Greek state, during the revolutionary war. Its cuisine is famous for its pies, with the local herb pie, known as ‘hortopita’ being particularly good. The island is also famous for its honey, olives and wine, all of which have been exported since antiquity and are still readily available on the island. The many tavernas that populate the beachfronts all serve an excellent selection of fresh fish dishes, including Greek classics like swordfish and red mullet. Visitors can also try ‘souvlaki’ or ‘gyros’ for a Greek version of fast food. When on the island enjoy a wide selection of exciting outdoor activities, making it perfect for family holidays. This includes the many beautiful beaches, such as Mandraki Elias Beach, known for its shallow turquoise waters and fun watersports. There are also many boat trips that leave the harbour and take its visitors to secluded beaches. Kastro, a 14th century castle perched on a white cliff, is also an excellent place for those travellers interested in history. Visit the secluded Lalaria Beach, which is only accessible by boat and is a particular favourite amongst visitors. There are many companies on the island that offer the chance to visit, a must if you are on the island. The hidden beach is also a great choice for those who want a quieter and more relaxed beach experience. The island also offers Mountain-biking for families who love to explore the great outdoors. The island is also home to a number of interesting churches and the Kastro castle, a 14th century fort, built to defend the island from pirates. There is a range of restaurants and bars on the island to suit the mood of every visitor. The liveliest areas are the aptly named ‘bar street’ on the eastern side of the harbour, Papadiamantis Street and the Trion Ierarchon Square, in the Old Town. The island also has a large number of local tavernas, where visitors can relax and enjoy spectacular views.